Bored of Windows XP and antsy for Windows 7? With a couple of quick downloads you can get the look and feel of Microsoft's next OS, no clean install necessary. 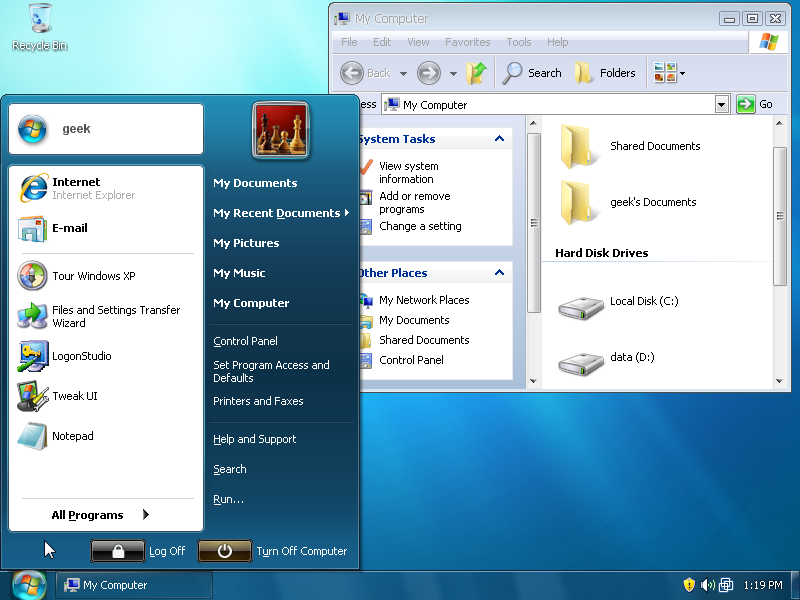 Niwradsoft Seven Remix XP is a free download that transforms the entire look of your OS to be all-around 7-like. You get boot screens, logon screens, screensaver, system theme, and loads of hacked resource files.